Ann Lindell is in the Violent Crimes Division of the Uppsala Police. She and her team are called in to investigate the deaths of two elderly farmers. The men aren't connected in any way and seem to be quiet members of their respective communities. There is very little to go on. A third death leads one police officer to postulate an extravagant theory which involves the assassination of Queen Silvia. However Ann isn't convinced by the theory and continues to plod away at the more mundane motives. The story is told partly from the point of view of Ann and her colleagues and also from the viewpoint of Laura Hindersten whose own elderly father has recently disappeared. The reader hears about parts of her childhood, her relationship with her father plus her current relationship with her married colleague Stig. Laura is not mentally stable but how does her story connect to the killings that Ann is investigating? I loved the previous book, THE PRINCESS OF BURUNDI, and was eagerly looking forward to the follow-up, however I was quite disappointed in THE CRUEL STARS OF THE NIGHT. I enjoyed the parts that involved Ann and her team, the detection, the camaraderie and the banter. Ann's personal life as a single mum and her relationship with a new colleague was less interesting but the life and times of the unlikeable Laura Hindersten was a complete drag. I had to stop myself skipping over her (many) pages which do at least, I suppose, provide some clues as to what the bigger picture is. Another negative point is that Ann commits an unforgivable sin for a police officer and so there's a big 'woman in peril' scene at the end which was tense but equally, very annoying. The series is now being marketed as the Ann Lindell mysteries so perhaps I shouldn't have been so surprised that one of the main characters from THE PRINCESS OF BURUNDI, Ola Haver, has barely a few lines in this one. I hope the next book, THE DEMON OF DAKAR, recaptures the form of THE PRINCESS OF BURUNDI. 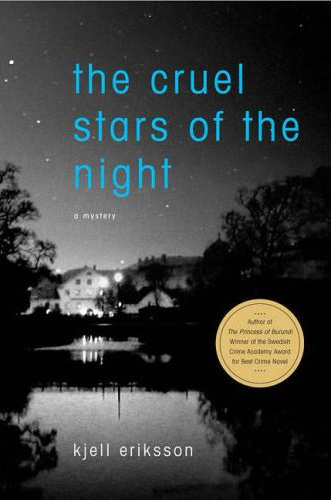 Read another review of THE CRUEL STARS OF THE NIGHT. More crime fiction reviews can be found on the Reviews page.